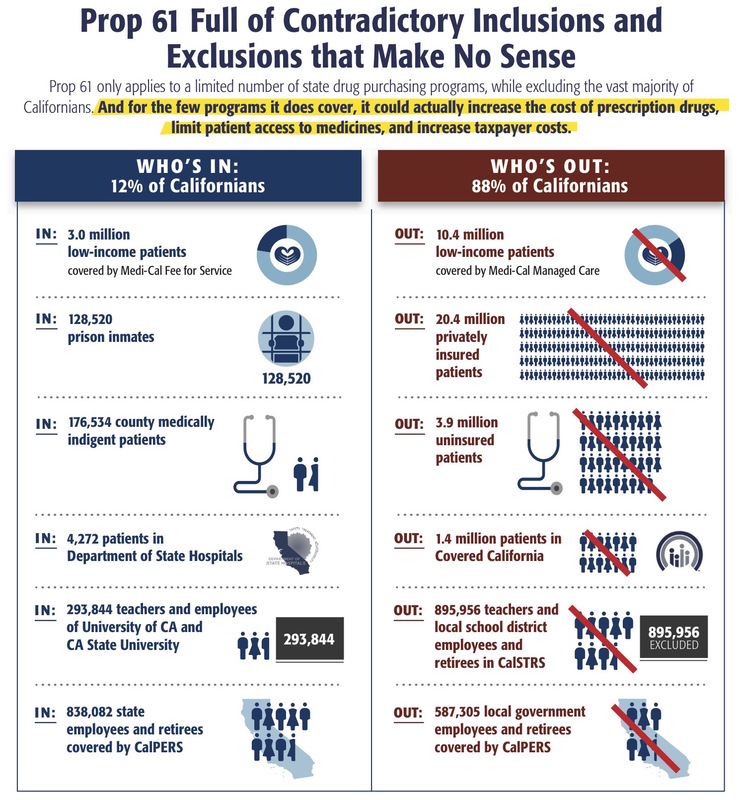 Proposition 61 is opposed by a broad coalition of more than 100 organizations representing patient advocates, doctors, clinics, veterans, businesses, labor unions and many others who warn this deceptive, deeply-flawed scheme would be bad for patients, harmful for veterans and expensive for taxpayers. The measure would impose unworkable contracting requirements for some state prescription drug purchases based on prices paid by the U.S. Department of Veterans Affairs (VA). Independent experts warn the measure could increase state prescription drug costs, while reducing patient access to medicines. The controversial author and promoter of Prop 61 – who is president of an organization that brought in more than $1 billion last year selling prescription drugs and operating HMOs – exempted his own organization from having to comply with the measure. 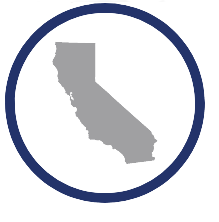 Prop 61 would only apply to an arbitrary selection of Californians in certain state government programs, including some government employees and state prisoners. 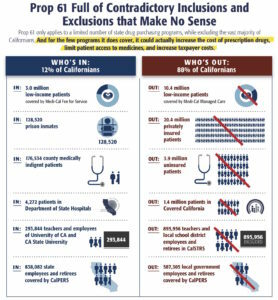 More than 88% of Californians are excluded, including more than 10 million low-income patients in Medi-Cal, 20 million Californians with private health insurance and Medicare, 1.3 million in Covered California, and millions of others. Experts warn that Prop 61 would actually increase prescription drug costs for the state and reduce patient access to needed medicines for the few state programs the measure does cover. The VA receives special discounts on prescription drugs for veterans in honor of their service to our country. This measure could eliminate these special discounts and increase prescription drug prices for veterans. Learn more about the measure’s impact on veterans. Invalidating these contracts would require many patients to go through a cumbersome prior approval process before receiving medicines, putting state bureaucrats between patients and their doctors. This could lead to delays in treatment or even denial of coverage for needed medicines. Learn more about the measure’s impact on patients. Prop 61 would invalidate many drug discount agreements the state has negotiated with pharmaceutical companies – increasing state prescription drug costs by tens of millions of dollars annually. Prop 61 is completely vague and contains no guidance on how it would be implemented. Its passage would result in more government bureaucracy, more red tape and lawsuits as state agencies struggle to implement it – costing taxpayers millions and delaying access to treatments. The controversial promoter of Prop 61 inserted language that would give him a special right to intervene in any post-election legal challenge. He wrote in a provision requiring the state – and taxpayers – to pay his legal bills. It is a virtual blank check at the taxpayers’ expense.